Can I change chart colors? Why is my chart not showing all my data? Can I manually resize charts? Can I change how information is ordered in my chart? Charts are one of the many layout options that you have in Coda, and they allow you create visualizations of the data you're tracking in your tables and views. 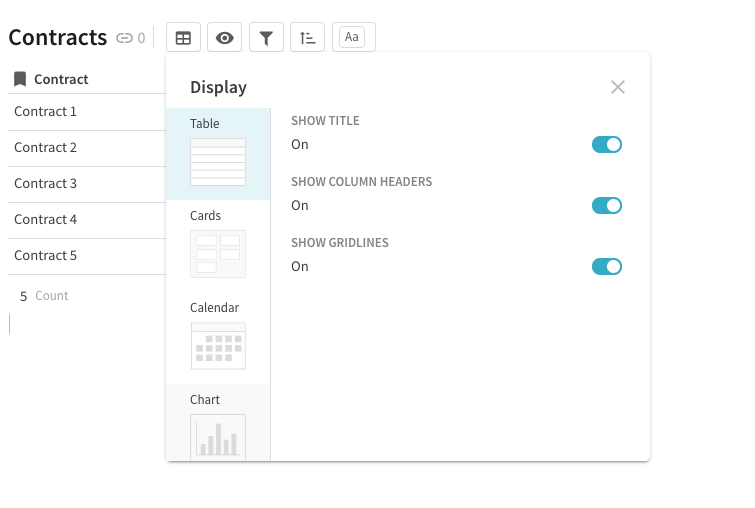 There are two ways to create charts in Coda - from the plus menu, or from a Table's layout options. Let's start with the + menu. Line Chart: You can choose a smooth or angled line as well as whether or not you'd like to see each individual point. 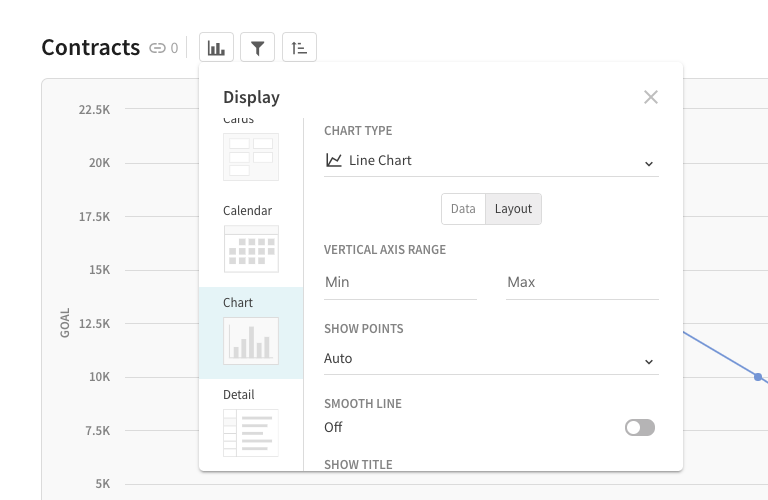 Under the Layout menu, you'll set up all the customized attributes based on the chart type, for example - stacking, orientation, smoothing lines or customizing the vertical axis. At this time, the colors of your chart are set automatically. Stay tuned for updates! 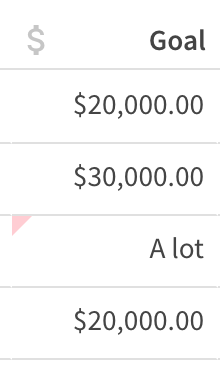 If you notice something is missing from your chart, it's most likely because a value in one of the rows is not able to be calculated - maybe you have a bit of text in the middle of a column of numbers. Double check that your table data all matches the same format. 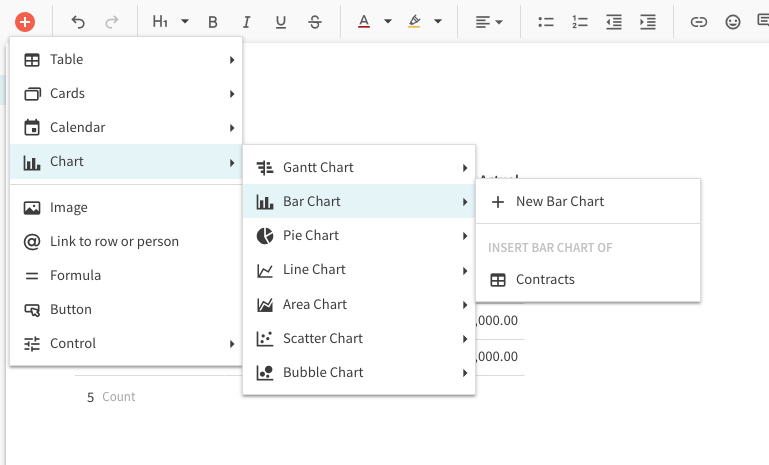 Charts automatically resize with your window - so you can use all the space available to see data, and not have to scroll when you're on a small screen. Definitely! Head to the sort menu to update how information is ordered in your chart.